I have slowly been reading the books from Laura Ingalls Wilder's Little House Collection to my daughter over the last couple years. Farmer Boy was a new one for me. For some reason I skipped this one as child, maybe for the same reason my daughter was hesitant to read it, it's about a boy, not our beloved Laura. After reading it though I think it's both mine and my daughter's new favorite in the collection. I just loved reading about farm life and Almanzo and his family are just as lovable of characters as Laura and her family. In this post I will share some fun hands on learning activities we did while reading the book and instructions or links so you can try them too. My family really strives to avoid products that are toxic to humans or the environment, this includes mainstream insect repellents, most of which contain DEET or other harmful chemicals. DEET has been found to inhibit the activity of a key central nervous system enzyme in both insects and mammals (source). So instead I make my own non toxic bug repellent spray using essential oils. 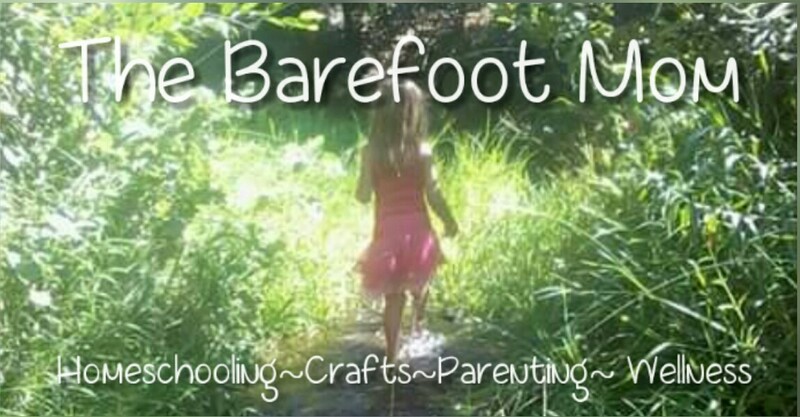 In this post I will share my personal recipe for a kid safe non toxic bug repellent spray. Add the essential oils and vodka to a glass spray bottle and shake to combine. Add the witch hazel and shake again. Add the water and shake again. I love children's picture books and as a homeschooling mom and a former elementary school educator, I've read a ton of them. I thought it would be fun to compile a list of my all time favorites. After quite a bit of thought and some discussion with my 7 year old here is my list of my top 10 favorite children's picture books. This is an older book that I had never read until my oldest was a toddler and we picked a copy up at a yard sale. It quickly became one of our household favorites. It's a silly story about a boy who over feeds his pet goldfish and the calamity that results from it. I just love this story about Max and his journey to the land of the wild things. The illustrations are awesome and it's such a fun story. It reminds me of my own little "wild things". A book my daughter checked out from the library recently, inspired us to do some research about ladybugs. We spent a day learning about the ladybug lifecycle and did a fun ladybug life cycle craft. In this post I will share how to make your own ladybug life cycle craft and share some resources for learning about ladybugs! Start by tracing a large circle of the same size on the red, white, and black pieces of paper (we traced a medium sized pot). Then cut the circles out. Cut a straight line up the center of the red paper almost to the top. Leave about a half inch at the top uncut. Next glue the white circle onto the black circle and draw lines dividing the white paper into quarters. Phonics is the relationship between letters and letter combinations and the sounds they make. Phonics gives children the ability to sound out and spell new words. In this post I will share some of my family's favorite phonics and word family activities. Word Family Flip Cards:On a 3x5 card write the ending sound from a word family like "at". Leave enough room to the right to add another letter or two. In front of the ending sound staple several 2x2 squares of paper in a stack. Staple them just at the top so the pages can be flipped up. Write a different letter on each square of paper so that they make words with the ending sound. Now your child can use the flip card to practice reading the words in that word family. Make more for other word families. We've been studying weather for a few weeks now, and this week we specifically learned about clouds. We looked at pictures and learned about different types of clouds. We watched a YouTube video about how clouds form. And today we made our own cloud in a jar in our kitchen! In this post I'll share step by step instructions for making a cloud in a jar and explain how it works. First, fill the metal dish with ice cubes and give it a few minutes until the metal dish is cold. Once the dish is really cold, add about an inch of warm water to the glass jar. Then set the metal dish filled with ice cubes on top of the glass jar. Give it a minute or two to build condensation on the side of the glass, then quickly remove the metal dish, spray a tiny amount of hair spray in the jar, and quickly replace the metal dish. While I believe modern medicine has it's place, I personally think it's best saved for serious injuries and serious illness. When I can, I tend to treat at home. In this post I will share the natural remedies that I almost always keep on hand and what I use them for. I infuse it in oil for skin infections and ear infections. I eat it raw (or take it in capsules) for fighting off infections and parasites. I use it in tea for sore throats or nausea and infused in oil for chest congestion or sore or swollen joints. I use it in tea to sooth sore throats. I use it on bug bites (it's great for bee stings, very soothing), cold sores, and minor wounds. Since it's spring and we've been getting lots of little rainstorms we decided it was the perfect time to set up a simple backyard weather station and study weather for a few weeks. In this post I'll show you how you can set up your own home weather station mostly with items you likely already have around the house.